If you want to invoke Amazon Web Services from the Windows command line, you will need to download the AWS command line tools. In addition to this, you will need to make a few changes to you Windows environment variables. 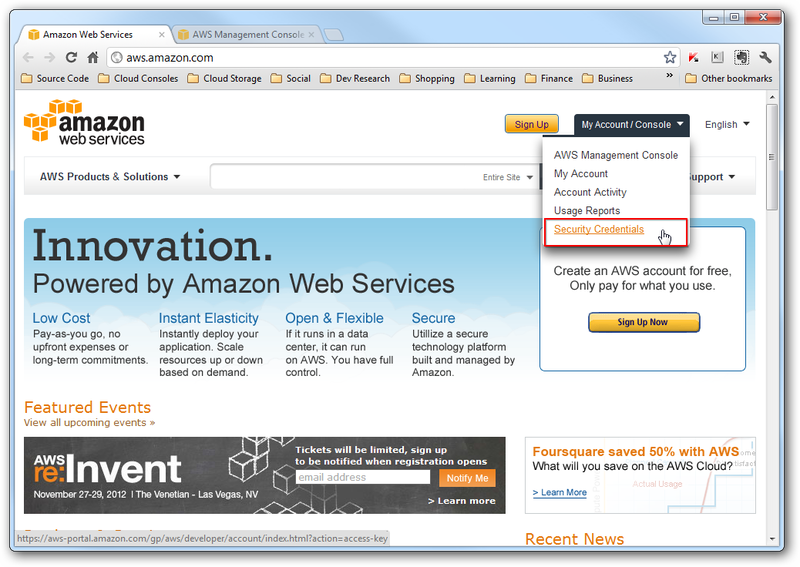 Navigate to http://aws.amazon.com/ and select Account -> Security credentials. Select X.509 Certificate then Create a New Certificate. Download the private key file to c:AWSKeys and download the X.509 certificate to the same location. In the environment variables of Windows, set the following. Download the API command line tools from http://aws.amazon.com/developertools/351 and unzip it somewhere sensible (for example C:Program Files (x86)Amazon AWSec2-api-tools-1.5.3.0). 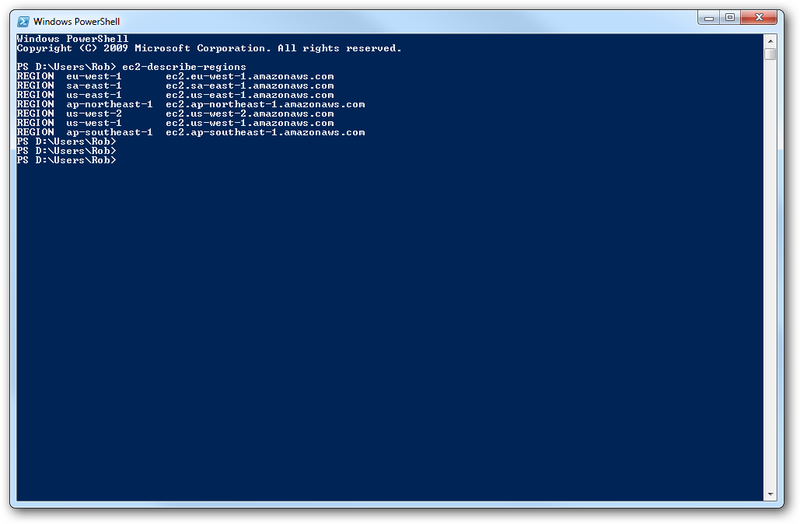 Place the location you chose to unzip the tools into your Windows environment variables as follows. You should get a similar response to the screen shot above.